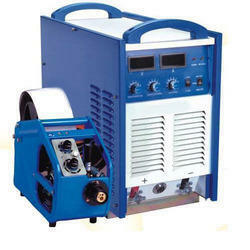 As a quality driven enterprise, we are engaged in providing a high quality range of MIG Welding Machine. Vulcan MIG Welding Equipment extends India’s most advance range of MIG/MAG welding systems into thin and medium applications, very useful for stainless steel and aluminum welding. 250, 400 and 600 amps. For heavy duty works, system designed to weld at costs far lower than conventional methods. More efficient with better economy. Welding Current Range	: 40-250 Amp. Output Current (Ampere): 150 Amp. To 600 Amp. 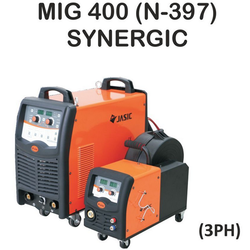 We are a top notch supplier of Mig Welding Machine. Welding Rectifier , Arc Welding Transformer, PUG Cutting Machine, MIG / MAG CO2 Welding Machine, TIG / ARGON Welding Machine, Air Plasma Cutting Machine : Complete range with the spares only from the reputed and well established brands with the most satisfying after sales services.